Bedlinen & towels are included in our prices. Breakfast is served between 7 and 12 am - all-you-can-eat-buffet for 7,50 Eur per person. The city of Dresden is charging an extra CityTax. This varies according to the amount of the total accommodation at the moment approx. Fantastic place. 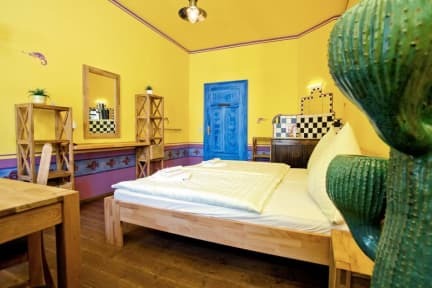 If you haven't stayed in Dresden before I think this place is a good bet. Hostel is in a great district, Äußere Neustadt, full of great cafés and restaurants. The building is set back from the main road in a courtyard so it's nice and quiet. Our room was a double room, absolutely huge, lovely and comfortable. The only downside was at checkout. The reception had no organised record of how much we had paid or had yet to pay, so checkout took about 20 minutes. 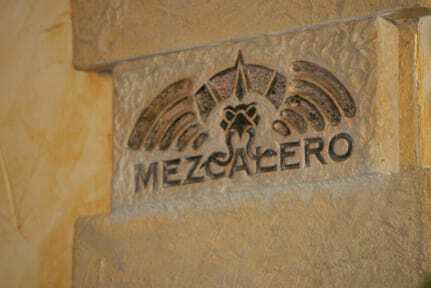 We loved out stay at Guesthouse Mezcalero! The staff was very friendly and helpful. It's a bit away from the sightseeing attraction, but it's in a cool neighborhood with lots of great places to eat and drink. Overall an excellent place to spend a few days in a beautiful city. Really nice hostel/hotel. I had a single room. Security & cleanliness were superb, location cool too (lots of shops/restaurants/bars around and not too far to the touristy stuff). No kitchen unfortunately. But parking off the street :) And it's not a party hostel if you're after that. Overall I can recommend it to everyone who likes to have a nice, quiet stay in a cool area not far from the "sightseeing centre". We had a nice stay for two nights a Mezcalero Guesthouse. The hostel is very nice, friendly and clean. The location of the hostel is excellent. It is close to all the bars and restaurants in Neustadt but yet very quiet as it is located in second row behind another building. The only downer was that there happened some mistake with our bill. But after complaining staff reacted very quick, friendly and helpful. I can definitely recommend this hostel to other travelers. Clean, friendly staff. Can recommend this guesthouse. Only the wooden floor is quite loud when someone walks on. They offer a breakfast for EUR 7.50. it is worth it. Had it every morning.